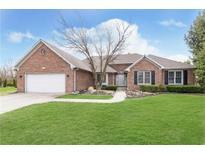 Below you can view all the homes for sale in the Windermere subdivision located in Fishers Indiana. Listings in Windermere are updated daily from data we receive from the Indianapolis multiple listing service. To learn more about any of these homes or to receive custom notifications when a new property is listed for sale in Windermere, give us a call at 317-427-7201. Nestled on large home site w/ mature trees, Professional landscaping & pergola covered paver patio. MLS#21632367. ERA Real Estate Links. Desirable Fishers Neighborhood w/ community pool & playground. MLS#21631787. Berkshire Hathaway Home. Features include: Great Room adorned with pillars and arch openings, with open plan to custom kitchen with granite tops, Thermador gas cooktop, Sub Zero Refrigerator, study, formal dining with butler pantry, hardwood & tile floors, lower level w/bar, and family room, abundance of storage, spacious master suite with sitting area, Jack/Jill bath, exquisite finish details throughout, walk-in pantry, loft area, screen porch, sun room, court yard 3 car garage, wooded lot. MLS#21624253. Encore Sotheby's International. Enjoy the deck off the breakfast nook overlooking your private yard. Close to all amenities. MLS#21622403. Keller Williams Indpls Metro N.
Don't miss an opportunity to check this out! MLS#21616468. CENTURY 21 Scheetz. Enjoy private,quiet evenings on this patio & deck overlooking woods & serene stream or have dinners in the Gazebo! MLS#21614226. CENTURY 21 Scheetz. This home is an amazing value and a must-see! MLS#21606428. F.C. Tucker Company. Large storage area (part of which could be finished for additional bedroom). MLS#21563061. F.C. Tucker Company. New Privacy Fence. Full Irrigation. WELCOME HOME! MLS#21475748. ERA Real Estate Links.